Starting with the inaugural NoCo Hemp Expo and going through NoCo5, we have been contemplating the past, cultivating the present and creating the FUTURE of hemp. As we roll into NoCo6, and 2019, the landscape for domestic hemp farming, processing, manufacturing, marketing and sales in the USA are going to change dramatically. The hemp industry is poised for exponential growth now that this incredibly useful plant is legal to grow and sell in the U.S. for the first time in over 80 years. To address the growing needs of the U.S. hemp market, expected to reach $4 billion in sales by 2022, Colorado Hemp Company – the producer of NoCo6 – is partnering with Hemp Industry Daily to add a Pre-Conference Investment Forum on March 28. The pre-conference event is open to accredited and institutional investors along with industry CEOs and executives looking for capital investment avenues to grow their businesses. For more information, visit www.NoCoHempExpo.com. 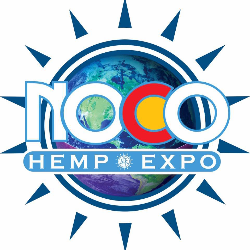 For NoCo6’s main conference programming, the 2019 event will feature a solid lineup of business leaders and experts in the industrial hemp market. The initial round of keynote presenters and speakers for the Investment Forum, Business Conference and Farm Symposium will be announced in early February. Topics for the full-day Let’s Talk Hemp Business Conference range from legal and banking issues to supply chain management, retail strategies and marketing and communications. Topics for the Farm Symposium include seed genetics, soil health, regenerative organic farming practices, harvesting, drying and processing, and more.